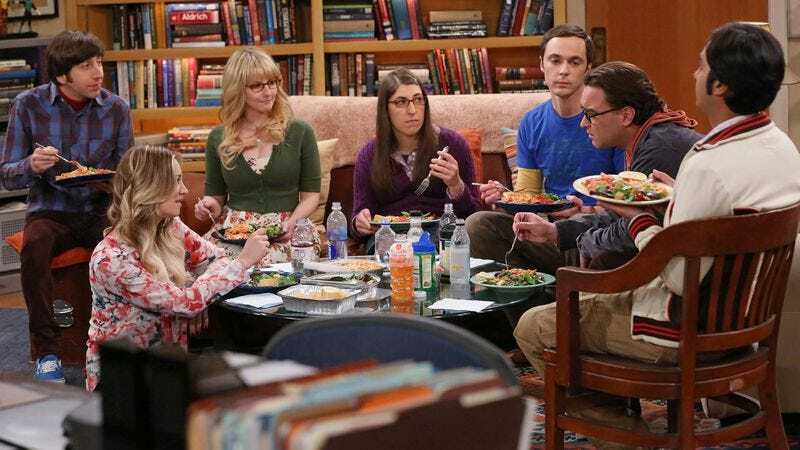 CBS has ordered three more seasons of The Big Bang Theory, getting the show closer to being as old, ever-expanding, and unstoppable as the universe created by the cosmic event alluded to in the show’s title. As Deadline reports, it’s the second such multi-year renewal for the sitcom—and since the last three years saw Big Bang Theory transform into a ratings juggernaut whose cable reruns frequently outdraw new offerings from other broadcast networks, CBS figured “Why the hell not?” Or, more accurately, per network chair Nina Tassler: “This multi-year deal further strengthens our network’s position for future seasons and marks another chapter in the great partnership CBS enjoys with Warner Bros. Television for delivering audiences the best in comedy.” Going un-mentioned in CBS’ press release is whether or not Tassler issued her statement about “the biggest comedy force on television” while John Williams’ “Imperial March” played in the background, a note the Big Bang Theory’s protagonists certainly would’ve enjoyed. The deal also renews the Internet’s commitment to labeling The Big Bang Theory “nerd blackface,” which you should really cut out already.